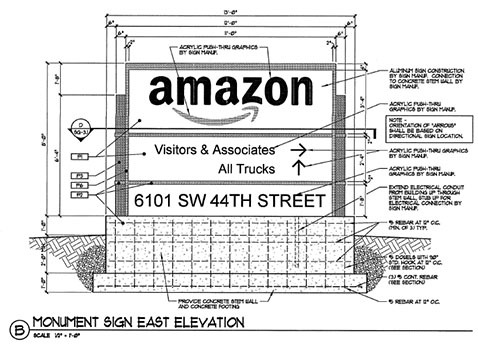 The on-line retail giant has leased 111,606 square feet of warehouse space located at 6101 SW 44th Street. The building was constructed by Industrial Developers of Oklahoma, the same Tulsa company that built Amazon's 300,000 square foot sortation operation at 1414 S. Council. 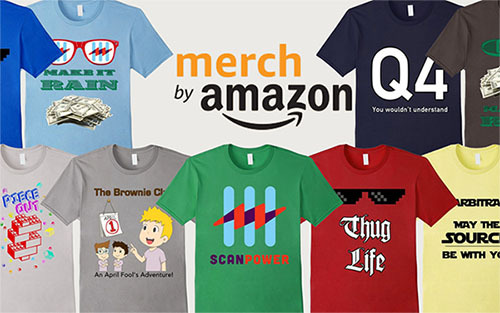 The new plant will produce made-on-demand items for Merch by Amazon, a service where content creators can upload their own artwork, have items printed (usually t-shirts and other clothing) and have it marketed on the Amazon website. When a product is sold, it is delivered through the Amazon Prime service and a royalty is paid to the creator. Currently, printing items through Amazon is by invitation only through an application process. A similar plant was just opened in suburban Philadelphia which contains 48 industrial printers, 16 giant dryers as well as pollution control equipment and has the ability to operate around the clock. The company is expected to open many more made-on-demand plants in the coming years. Last year, Amazon was awarded a patent for its new automated system that facilitates the rapid production of clothing, enabling Amazon to create and ship directly to the customers, bypassing middlemen and the huge oversees manufacturers who currently make most clothing in the U.S. The move is seen as competition for silk-screeners who customize the same sort of items for various customers. The number of employees is not presently known. 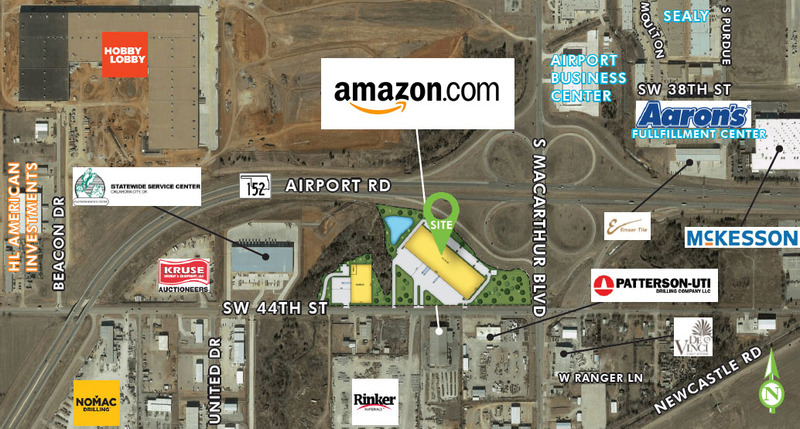 This would be the fourth Amazon facility within Oklahoma City: 2,560,00 square foot fulfillment center at 9201 S. Portland, the previously mentioned sortation facility, and 60,000 square foot delivery warehouse at 4401 E. Hefner. It is estimated the fulfillment center alone will create 1,750 full-time jobs.